Mission Medstaff is a top-quality provider of home healthcare services for Charlotte and much of North Carolina. While we take a comprehensive approach to our adult and pediatric home health care craft, we know that staying healthy can be a challenge. Between October and March, there is an annual influx of influenza cases. Additionally, colds and coughs accompany this serious illness. Today, we’ll look into a few common suggestions for combating illness during the holiday season. People say that an ounce of prevention is worth a pound of cure. When it comes to getting sick during flu season, we fully agree on these preventative measures! Being consistent and thorough in hand washing practices is often the very best way to prevent illness. Although this advice seems odd, it is important to note that much of the germs that attack our immune systems are actually introduced through the body via the eyes, nose, and mouth. Often times, an itchy eye or runny nose can lead to an unconscious violation of this advice. Be mindful of your hands during the flu season! Additionally, the act of proper hand washing will help to reduce the amount of risk associating with contacting hands to the face. For many people, running on a sleep deficit is enough to welcome illness. When your body is not running at full strength, the chances for foreign invaders. This can be attributed to the illness-fighting substances that are released in all of our bodies during sleep. Running on little or no sleep can lead to a compromised immune system, highly increasing your susceptibility to illness. While all people differ in their physiological needs, experts agree that eight hours of sleep is an excellent goal for adults to aim for. With the taxing nature of growing and developing, children tend to need more sleep, typically in the ten-hour range. If you’re feeling ragged and run down, be sure to set aside enough time to rest. Your body will thank you! 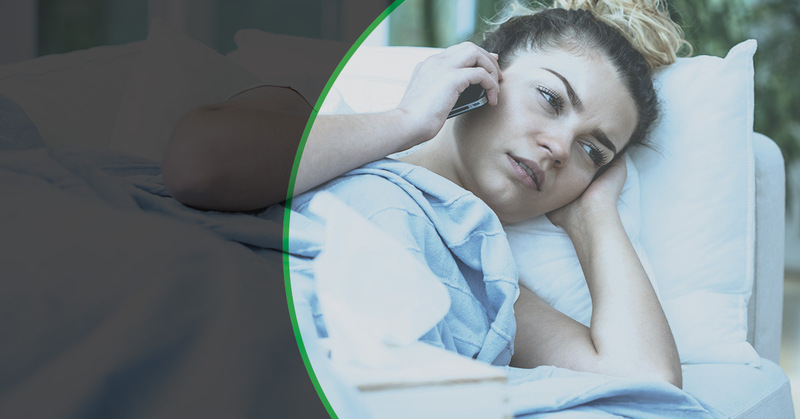 Illnesses such as the common cold and influenza are in full force during the winter months. While everyone is at risk for getting sick, the very young, old, frail, and medically compromised citizens are all at a much higher risk. Being sure to take extra measures for this population is a very wise measure. Here at Mission Medstaff, we are sure to deliver the best at-home care services. Helping patients retain health and their independent lifestyle is what we aim for. If you’re in need of premium home health care in Charlotte, be sure to contact us for more information!